Powys Drugs and Alcohol Centres (PDAC) is a long established local charitable organisation which was formed to provide a wide range of support for individuals living in Powys who are dependant on drugs, alcohol or other substances. Interested organisations (which we would expect to be registered charities or appropriately constituted groups) should contact the PDAC Company Secretary in the first instance for further details about how to apply for financial support; which is expected to amount to a maximum of £5,000 per organisation. The Rolf Gerstad Memorial Fund was established by Powys Probation Service in the late 1990’s in memory of Rolf who was Powys Drug and Alcohol Centres’ (PDAC) first outreach worker. Rolf worked throughout south Powys and demonstrated the value of an outreach approach in supporting those at risk from substance misuse and their families. The Fund is now managed by PDAC. The Fund supports individuals to enable them to undertake activities that may assist them in their recovery from substance misuse and help to improve their lives. There are no strict limitations on what can be funded as long as it will contribute to the beneficiary’s well-being and progress. NB The Fund cannot duplicate other sources of funding so if there is another way that activities can be funded this should be pursued before an application is submitted. Anyone whose life has been adversely affected by their drug and/or alcohol use may be eligible. Beneficiaries must be resident in Powys. All applications should be returned by email (where possible) with a signed hard-copy sent by post. If you are applying on behalf of a group/organisation it is important that you also include the required supporting documentation when posting your application. The hard copy of your application should be sent to: The Community Foundation in Wales St Andrews House 24 St Andrews Crescent Cardiff CF10 3DD . Groups can apply by clicking here to access the application form. The Beaverbook Foundation is a relatively recently formed (20 August 2013) Charitable Incorporated Organisation that is seeking to develop its grant-making portfolio. o The maintenance of heritage property. The Foundation generally provides small grants to small organisations that will make a big difference. Larger grants are also available and in its previous financial year several grants of £50,000 were awarded. Most grants were for under £5,000, however. A list of major awards is provided in the Foundation’s annual accounts. In principle, the Foundation prefers some match funding to be in place and may award grants conditional on match funding being confirmed. During the year ending 30 September 2016 the Foundation allocated £ 261,578 (2015: £54,200). 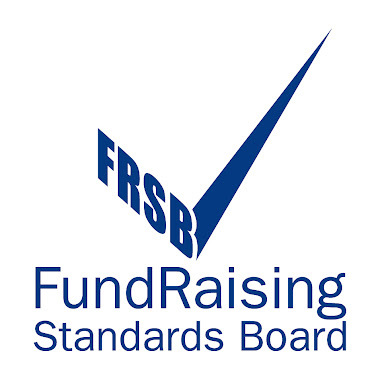 The Foundation will not normally consider grants to cover expenditure which has already been incurred or committed. We'll give preference to projects run by small, local organisations. You can't use money from the fund solely to pay for staff salaries or general running costs, or to make a donation to another organisation. We'll let you know if you've been selected in October and you can start promoting your cause to our members from November. You'll be paid a share of the funding every 3 months, with the first payment at the end of January 2018 and the last in October 2018. You can save your application at any time and return to it later. Applications must be completed by 8 August 2017. Dream Fund 2018 is now open to applications from charities in Great Britain. Charities in England, Scotland and Wales are eligible to apply for funding to deliver the project they have always dreamed of, but never had the opportunity to bring to life. All applications must come from at least two charitable organisations that have joined forces to deliver an innovative project. The lead partner organisation must be a registered charity. The other partners can be registered charities, voluntary groups, community interest companies, universities or other not-for-profit organisations. The funding pot for 2018 has been increased by £500,000 to £3 million. Grants of between £500,000 and £1 million are available to deliver a project 24 months in length between 2018 and 2020. Improving people's lives through animals. Applications must be innovative, creative and original, and present projects that are a genuine ‘dream'. The deadline for stage one applications is 22 August 2017 (5.30pm). Applications will be accepted from registered and un-registered community based organisations across the UK, the Channel Islands and the Isle of Man. o Already coordinate activities by and for older people that can demonstrate a need to engage with a ‘harder to reach’ group of older people, or an organisation which already works with disadvantaged older people that wants to bring a new twist or approach to their work. Applications will also be accepted from partnerships. Grants of between £40,000 and £80,000 are available over a period of 3 years. Comic Relief expects to fund between 15 and 25 projects across the UK from the programme. The funder will contribute a minimum of 25% of the total costs of the proposed activities in order to ensure that they have contributed to the work in a meaningful way. The funding is for projects, initiatives and activities which primarily focus on benefitting older people, specifically those older people who do not usually participate in volunteering or social activities because they are from a disadvantaged community, or face barriers to participation. There is also interest in activities which will have a wider benefit for the community in which they are taking place. o Provide creative, fresh approaches to engage beneficiaries in social action activities which bring people together and help to improve their lives and solve problems that are important to their communities. This may include activities around campaigning and fundraising as well as volunteering, all of which can create a double benefit for communities and the older person themselves. o Make older people feel valued and enable them to be creative and productive. To do this, activities might focus wholly on older people, or use a broader community or intergenerational approach. Applicants must be able to demonstrate that they really understand the needs of their community, the role that older people can play in catalysing social change and make the case that they can deliver. o Organisations that advocate the use of violence as a means to campaign or influence public opinion. Proposals will be accepted until 12 noon on Tuesday 29 August 2017. Shortlisted proposals will then go through to a full assessment. Organisations should use the online application and grant management system, called GEM, which can be found on the Comic Relief website. Thomas spent a week doing work experience with nfpSynergy. Seeing as he thought we were all old for using Twitter and Facebook, we decided to ask him to write a report and a blog on his experience of social media and how charities can use it to engaging with young people. As a 15-year-old and a digital native I use social media every day. To be more precise, within the last week I have spent around 17.5 hours on social media (which is less than the average of 27 hours). My time on social media is spent either on Snapchat or Instagram, two of the most popular and fastest growing platforms on smartphones today. With all the time my peers and I spend on social media, we are exposed to hundreds of advertisements for various companies and their products; however, from what I can remember, not once has one of these ads been from a charity. This raises the question - are charities making the most out of social media and its opportunities to reach out to younger audiences? Charities are all over Facebook and Twitter, but I believe that these platforms are in decline. Facebook and Twitter are somewhat similar, and have both been around for over ten years. I can say from personal experience that neither are as widely used as Snapchat and Instagram within my age group. There are simply more modern and interesting ways to connect with your friends. Snapchat has over 300 million users and was growing at a ridiculous rate of around 15 million new users every day in 2016. Ask any young person which platform they spend most time on, and I will put money on them saying Snapchat. I believe that charities are simply not doing enough to gain the awareness and support of the younger generation. We are the ones who will grow up and be relied upon to keep the charities afloat with our money, and in some cases, our work. Charities must make the most of their advertising opportunities, and grab the attention of the young early on; otherwise when the time comes, we simply will not have the knowledge, experience or awareness needed to keep the thousands of charities in the world running. Snapchat holds many opportunities for a charity to get their point across. After having spent three years on Snapchat and having searched the internet for hours, I have only come across one charity that saw its potential and seemed to master it; the Danish branch of the WWF. Back in 2014, WWF Denmark launched their ‘#lastselfie’ campaign, aimed at raising awareness of the threat of extinction that many beloved animals are facing among teenagers. The campaign featured five different pictures of five different endangered animals, each captioned ‘don’t let this be my #lastselfie’. The picture encouraged you to share it with friends. These images went viral and within three days WWF had raised its target donations for the whole month. This perfectly showcases the massive potential snapchat has for charity advertisement; it just boils down to whether specific charities are able to adapt and consider the idea that their current social media campaigns may be perceived as dated by my age group. Teenagers are moving from platforms like Facebook to Snapchat, and have been doing so since Snapchat was launched in 2011. There is a great lack of charity awareness amongst youths; this is evident from a recent nfpSynergy research that revealed that 21% of those between 11 and 16 could not name a single charity. This is not down to the young being less engaged and observant nowadays, as some many claim; I believe that it is more likely to be down to charities failing to wise up to modern social media trends quickly enough. Teenagers nowadays spend their time on Snapchat - if charities want to catch the attention and interest of the young, then they must first migrate to the relevant platforms. The Fidelio Trust welcomes applications in support of the Arts, in particular the dramatic and operatic arts, music, speech and dance. It particularly welcomes applications from organisations or individuals at an early stage of their development. Proposed grantees must be in real need of financial support and be particularly able and/or gifted. o Receive support for a special publication, musical composition or work of art. Grants of up to £5,000 are available. The Trust welcomes a match funding contribution as it’s charitable expenditure is limited to around £100,000 per annum. Applications are accepted on behalf of individuals and groups who are practitioners or performers in the Arts as well as institutions and colleges providing opportunities for those studying, practicing or performing. Proposed grantees must be recommended by an appropriate person in an institution, college, arts festival or similar organisation that can vouch for the abilities of the applicant. There is no nationality restriction and the work for which money is sought may be overseas but the proposed recipient(s) must be based in the UK. Application forms are available from the Trust's website and may be accompanied by a one page A4 letter. Running for more than 10 years, the Big Lottery Fund's Awards for All grant programmes provides grants to local voluntary and community organisations, schools and statutory bodies across the UK for projects and activities which matter to people and communities. The grants can be used to fund training costs, volunteer expenses, staff costs, small capital projects, transport, one-off events, equipment and utilities/running costs. All projects funded through the programme should include communities in the design, development and delivery of projects which help to improve their local community and the lives of people that are most in need. The Big Lottery Fund is keen to support smaller organisations and will consider their income when making a decision. Although applications can be submitted at any time, organisations should take into account that it takes about 10 weeks for the Big Lottery Fund to reach a decision and another two weeks to receive the funding. Further information about the Awards for All programmes can be found on the Big Lottery Fund website. This FREE training session, run by the Welsh Language Commissioner, will enable attendees to develop their organisation’s use of the Welsh language. It will provide information, research and practical advice to aid in planning for increasing the organisation’s Welsh language provision. What’s the role of the Welsh language within the third sector? How is it relevant to you, your organisation and your service users? How can you plan to ensure you meet the needs of your audience? This half day training session will look at the advantages of the Welsh language, historical and current language context, the support available from the Welsh Language Commissioner and practical planning to develop your Welsh language provision. The new charity services portal is intended to be a “one stop shop” that will make it easier for charities to “self serve” and track progress on any applications to the Commission, “a bit like Parcelforce”. It will also ensure that “guidance and content is tailored” depending on the type and size of charity. Another digital service being tested at the moment is one which will make it possible to change a charity’s name in 24 hours, where currently it takes an average of 33 days. The Trusthouse Charitable Foundation provides grants to charitable and not-for-profit organisations in the UK for small, local projects working to address community issues in areas of extreme Urban Deprivation or remote, socio-economically deprived rural areas. o Projects addressing issues such as drug/alcohol misuse or homelessness. o Drop in centres for the homeless. o Heritage projects in marine or industrial areas which involve local people and have a demonstrable community benefit. Trusthouse is interested in supporting capital projects at hospices throughout the UK. Applicants will need to have secured a minimum of 50% of the total cost of the project and to identify a specific element of the project which a grant from Trusthouse would cover. Priority will be given to projects that benefit patients, rather than visitors or staff. Trusthouse does not give grants for hospice running costs. Although Trusthouse waives the need for hospices to comply with the requirement that applicants should be based in areas of extreme urban deprivation or remote rural districts, preference will still be given to such areas, as the possibilities of local fundraising are more limited. Trusthouse runs three-year programmes focussing on a specific issue of interest to the Trustees. The next themed grant programme 'will probably' open in late 2017. Grants are available for covering overheads and salary costs are available capital projects, for one-off expenditures such as equipment and new builds are also available. o Large Grants: of between £10,000 and £50,000 for capital projects only. With effect from 1 July 2017, the maximum amount that applicants can request for Large Grants, Hospices, Village Halls and Community Centres was increased from £45,000 to £50,000. These grants are only for one-off capital projects where the total cost of the project is under £1 million (apart from hospices where there is no maximum total cost limit). There is a 50% match funding requirement for all projects. o Groups with an income over £100,000 and under £250,000 can apply for Small Grants of up to £6,000 for one-off capital cost for new buildings, repairs and improvements, or the purchase of equipment. Decisions are made within four to six weeks. o Groups with a total annual income of over £250,000 and under £500,000 can apply for Standard Grants of between £6,001 and £12,000 for revenue or one-off capital costs. The total cost of capital projects must be less than £1 million. Decisions are made quarterly. o Groups with a total annual income of over £500,000 and under £5 million can apply for Large Grants of over £10,000 and up to £50,000 for one-off capital costs only. The total cost of the project must be for less than £1 million. Buildings must be owned by applicant or leased for a minimum of five years. Decisions are made quarterly. o Village halls and community centres with any income up to £5 million can apply for village hall and community centre capital grants of between £1,000 and £50,000 for new builds, repairs, improvements or extensions. Decisions are made quarterly. o Hospices only can apply for capital grants of between £6,000 and £50,000 for new builds, repairs, improvements, extensions and equipment purchase. Decisions are made quarterly. All grants are for one year only. Funding is available for general running costs including salaries, core costs and overheads and capital expenditure on buildings or essential equipment. The Foundation operates a rolling programme and groups can apply at any time throughout the year. Grants Committee meetings are held in February, late April/early May, July and late October/early November. Applications need to be received at least six weeks before a meeting to be included on the agenda. Small Grant applications can be made at any time through the year and will receive a final decision within six weeks. The guidelines can be found on the Trust's website and applicants are urged to read the guidelines before starting the application process. They should also use the online eligibility checker which will lead to the application form. Applicants will be taken through a short questionnaire to identify which type of grant is most suitable. All applications should be submitted by post. For further information, visit the Trusthouse Foundation’s website.